Have we found some of the best pasta in Finsbury Park? Added on 02 March 2018 . By Daniel Splarn. In 2007, Simone Remoli moved from his native Rome to London, where he quickly set about making his mark on our city’s dining out scene. Rome’s loss was London’s considerable gain, as Simone brought the skills he learnt in his family kitchen to restaurants like Roka and Barrafina, then Locanda Locatelli and Boca di Lupo. He opened Pasta Remoli in Westfield Stratford in 2013, followed four years later with a new restaurant in Finsbury Park, which I was lucky enough to visit a couple of weeks ago. Pasta Remoli is found on Clifton Terrace, slightly away from the bustle of Finsbury Park – but within an easy walk of the station. The neighbourhood vibe to Pasta Remoli hits you straight away. There’s nothing too flashy about the interiors, it’s just a warm, comforting space in which family and friends come out to enjoy each other’s company and an absolutely belting plate of pasta. We were taken through the main restaurant space and seated in the mezzanine area, between a 15-strong group of gents enjoying a catch-up meal and two other couples opting for pasta and a bottle of wine on date night. Each member of staff wore “now you’re a pasta lover” t-shirts and kissed regulars on the cheek as they sat down to eat, and perhaps most tellingly of all, I counted at least two groups speaking Italian at the table; it’s clearly a place popular with ex-pats wanting to indulge in some home comforts. There's an irresistible air of the casual at Pasta Remoli. Deep-fried Arancini (£5.50) and Bruschetta (£5.80) helped set an authentic Italian tone from the off, and both portion sizes were generous. For the main event, Pasta Remoli invites you to first select your pasta type – from ‘plain’ options such as spaghetti and tagliatelle to ‘filled’ choices like truffle & mushroom ravioli - then match it with one of their white or tomato-based sauces. It allows you complete, creative control over your dish, although for people like me (who panics enough with the amount of choice at Subway) you can put the power back in the hands of the chef and opt for a traditional favourite. I did just that and went for the Spaghetti Carbonara (£9.50), which was a plate of the most delicious, authentic, indulgent pasta I could have hoped for. This is the good stuff alright; the best bowl of pasta I’ve had this side of Tuscany. If you opt for a starter and a main you’ll probably be struggling at this point, but when asked if you want to see the dessert menu the answer has to be yes – because you’ve gotta experience their Tiramisu (£4.90). I’m not usually one for coffee-based desserts but this was a sublime fusion of coffee, mascarpone cream and gluten-free biscuit which put the finishing touches to a really tasty all-round experience. They don't mess with the basics at Pasta Remoli, they enhance them. The large group sat next to us at Pasta Remoli were just about finishing their meal when we first sat down, and they were still in place laughing and joking over a bottle of wine at the end of our stay. 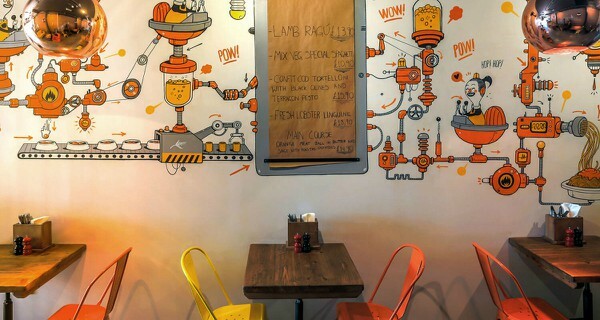 While a lot of restaurants would have shepherded this group along in an attempt to get new customers through the door, Pasta Remoli isn’t that sort of place – it’s built for relaxed, casual dining where you can really savour a night eating out. 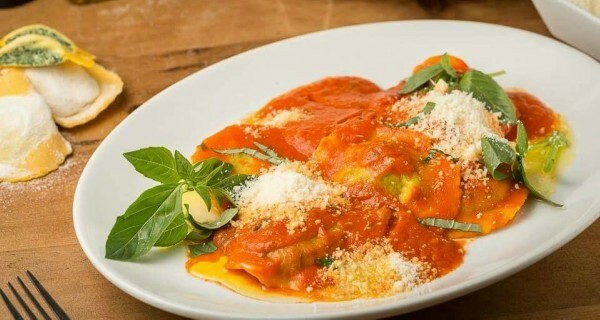 For classic Italian cooking, served by a friendly, all-Italian team, give this place a try.